Did you do any professional training, including in-service training, in the last 12 months? If yes, how many days training did you do? The report found that teachers who report the highest take-up (i.e. more than five days) of continuous professional development( CPD) are more likely to: be female, have more than 20 years teaching experience, work with a special needs assistant (SNA) in the classroom, teach at least one child with a learning disability, and teach in a multi-grade class. A strength of the study is that 1,916 primary teachers responded to the questionnaire. 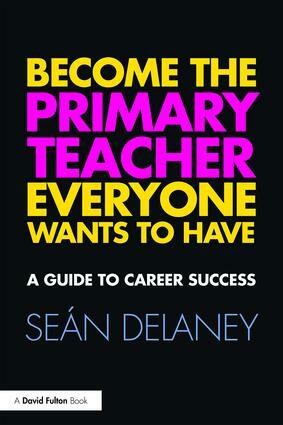 Few studies have the resources to seek responses from so many teachers as the Growing Up in Ireland study has. Nevertheless, CPD for teachers is but one small focus of the larger Growing Up study and space is limited on a questionnaire for teachers that aims to serve so many purposes. Reading the literature review in the CPD report, I imagine that the authors would have designed the questionnaire differently if the questionnaire’s primary focus was on teachers’ CPD. Asking teachers about taking part in “professional training, including in-service training” and measuring it in days is a fairly blunt instrument for finding out about their continuous professional development. The authors define CPD as the “take-up of formal opportunities intended to deepen and extend teachers’ professional competence, including knowledge, beliefs, motivation and self-regulatory skills” (p. 15). However, the questions asked on the questionnaire reinforce a 1980s model of CPD, criticised by the authors themselves in the report, which views “teacher learning” as “something that is done to teachers” (p. 4). In 2011 finding out about which teachers are more likely to engage in CPD is all very well. But taking part in CPD may not be enough. We need to know more about what CPD teachers find helpful, and how effective it actually is. If CPD is to be worthwhile, it needs to make a difference. The bottom line for all of us has to be identifying what CPD changes practice, how it does so, and what CPD helps children learn more and learn better. This entry was posted in Continuing Professional Development, Teacher Education. Bookmark the permalink.